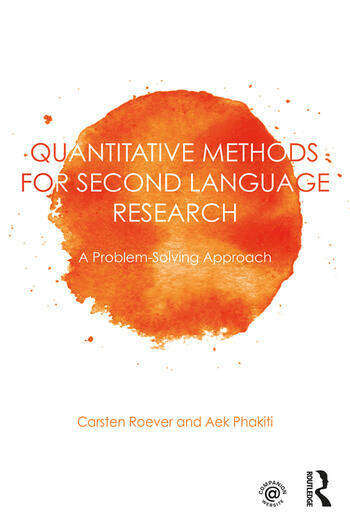 Quantitative Methods for Second Language Research introduces approaches to and techniques for quantitative data analysis in second language research, with a primary focus on second language learning and assessment research. It takes a conceptual, problem-solving approach by emphasizing the understanding of statistical theory and its application to research problems while paying less attention to the mathematical side of statistical analysis. The text discusses a range of common statistical analysis techniques, presented and illustrated through applications of the IBM Statistical Package for Social Sciences (SPSS) program. These include tools for descriptive analysis (e.g., means and percentages) as well as inferential analysis (e.g., correlational analysis, t-tests, and analysis of variance [ANOVA]). The text provides conceptual explanations of quantitative methods through the use of examples, cases, and published studies in the field. In addition, a companion website to the book hosts slides, review exercises, and answer keys for each chapter as well as SPSS files. Practical and lucid, this book is the ideal resource for data analysis for graduate students and researchers in applied linguistics. Carsten Roever is Associate Professor in Applied Linguistics in the School of Languages and Linguistics at the University of Melbourne, Australia. Aek Phakiti is Associate Professor in TESOL in the Sydney School of Education and Social Work at the University of Sydney, Australia.